For the 2016 Christmas caper we will be visiting Russia and Finland, with an optional side trip on JoinFS. Here is the Briefing Document. 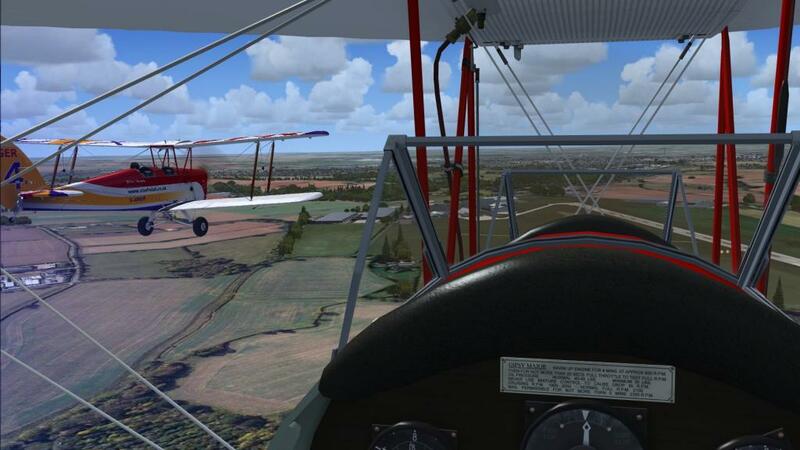 For the November Event we will be flying into Goodwood using in reverse one of the routes from the real-world event last year. The plan is a "mystery tour", starting at EGKB Biggin Hill, and from the final waypoint flying direct to Shoreham EGKA to land. The 2-4-CIX Team Autumn Display is planned to take place at EGNB Brough in recorded offline multiplayer sessions. These will be joined together for viewing on 23rd September for club members by David Buderim. This is the September Star Event - more details in the club forum. The August Event will be a challenge to see just how high you can get. Although not planned by VATSIM, in July we're going to Oshkosh. Details available for club members in the forum. In June we're looking for Howland Island where Amelia Earhart went missing. The March Event will be "Men of Harlech" a flight around Dodd's Own Country, ie Cheshire and places West. Something different this year. Full details in the club forum. During the Christmas Caper we visited the airfield with the lowest elevation on the planet. For the January Star Event we go to the other extreme - we are heading to the Himalayas.